"I am a professional storyteller," I introduce myself to people. "Oh" they say "What does that mean?" "That means I get paid for it." I am re-thinking that definition as we speak. Thous shalt not name thyself professional if thou do not your money solely from art make. I have been a professional, full-time, on-the-road traveling storyteller before, for almost two years, in-between universities. And now I am back in higher education. I am on a student visa and a scholarship, both of which specifically forbid me to work outside the university campus. Did I just cease to be a professional storyteller? Am I a storyteller at all? And if money is not the answer, how does one define professional storytelling? Taking a look at more traditional forms of employment (which, ironically, are usually not nearly as old as storytelling, named by many the second oldest profession in human history, tongue in cheek or in other places), one could say that you are a professional something if you have been trained for it. For example, I have a master's degree in Archaeology, therefore I am an archaeologist even though I have not set foot in a trench every since graduation. Still, if I claim this profession as part of my image, not many people would contest it. But here is the thing about storytelling: many tellers have no professional training in it, and frankly, I would argue that they even need one. Circling back to the question of definitions: how would you define someone's training if his father was a storyteller, and his father before him? Storytelling really happens where the rubber meets the road: you are a great teller if you tell great stories. Problem is, people will not know that until they hear you. Most people hire the storyteller based on the image projected: "Tell enchanting tales of this and that, hails from the magical land of here and there, can occupy the attention of 200+ first graders for the time period of [blank]". I know because that is how I do it. Then, of course, people hear you tell, they like what you do, your name gets passed around, and you become part of the "storytelling world" as a "master teller" by the consensus of the only people that matter: the people listening to your tales. Happily ever after. But what if you also enjoy teaching pilates on the side? Or running a restaurant? Or working in a library and secretly pushing your nose in the new books to inhale the heavenly new book smell? Many artists say that they want to make a living solely from their art because then they do not have to deal with anything else. I used to tell my clients that I asked for payment for my gigs because then "I can spend all my time working on storytelling and nothing else." Once I made my passion my full-time profession, I had all the time in the world to hone my skills and craft my stories. Right? Yeeeah, turns out: not so much. Storytelling (or any other art form) as a full time job is exactly that: a full-time job. As the great philosopher and poet so eloquently says: "it's ten percent luck, twenty percent skill, fifteen percent concentrated power of will, five percent pleasure, fifty percent pain, and a hundred percent reason to remember the name." With full-time occupation come marketing, web design, emails and phone calls, and, worst of all, tax paperwork (blergh). At a glance I estimate that I spent my full-time storytelling life with five percent on stage and ninety-five percent at my desk. Then again, there are also other things that I would do full time in a heartbeat. I love dressing up in medieval dresses, and doing historical archery. I am also that dork that loves going to school. Turns out I quite enjoy teaching teenagers. I use a lot of storytelling in the classroom. 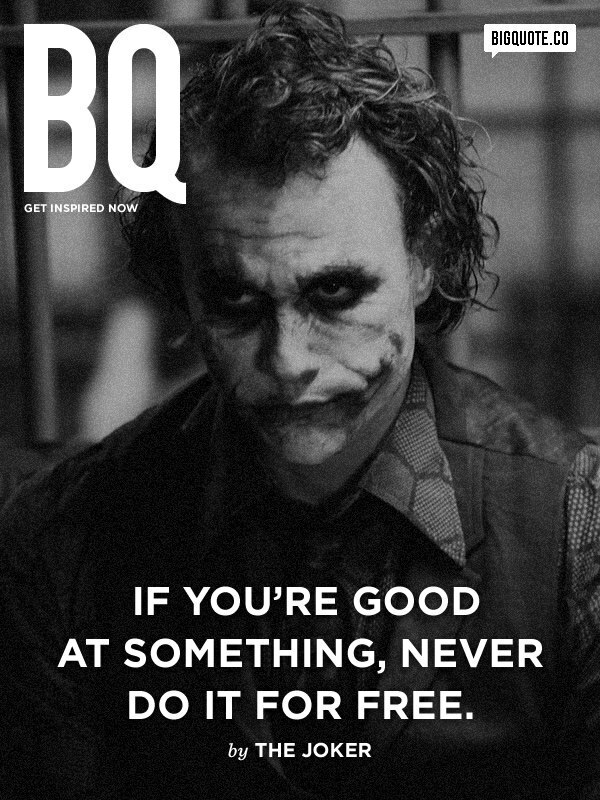 There is a classic and influential piece of marketing advice floating around in the virtual universe: "If you are good at something, never do it for free." 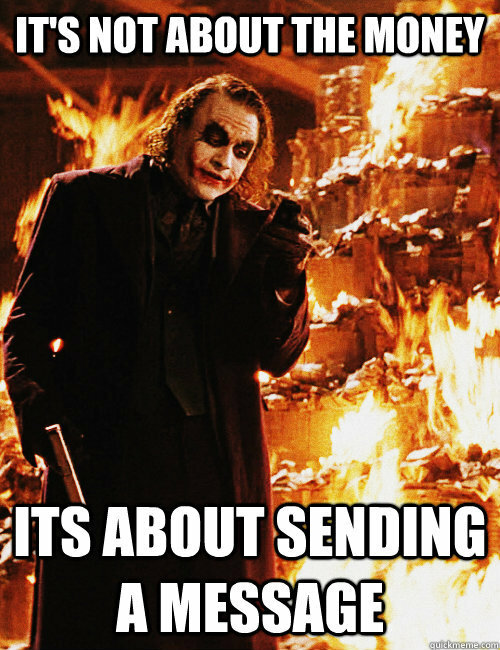 Incidentally, from the same source comes another message: "It's not about the money. It's about sending a message." I hit the three week limit this past Friday: I was twitching with the need to tell some stories. To get my fix, I did three things: one, I told the Saga of the Greenlanders to my class (see previous post); two, I went to a festival in Oakwood, OH with the local chapter of the Society for Creative Anachronism and told tales of King Arthur; three, I contacted a local middle school, and offered to adopt them (see previous posts about adopting schools). That is all fine and peachy, one could say, but hey: doing things for free might actually hurt other people who are trying to do the same thing for money. If you don't want to get paid, great, but what if schools decide they will never again invite someone for actual money? That is, first of all, a very legitimate concern, and one that I too share as a professional storyteller. People tend to get used to the freebies. People tend to live off of them (come on, college students master this skill before Composition 101). At the same time, I have been a storyteller long before I found out you can actually get paid for it. I told stories in school and in camps and at Ren festivals from the age of fourteen or fifteen, and didn't know it was a profession until I hit college. It is not something I can just cease doing if the money stops. I get quite literal physical symptoms of distress if I go more than a few weeks without doing any storytelling. And that is more than my good-natured and amazing friends should ever have to put up with. Running the risk of the worst metaphor ever: I can go for a while on drinking True Blood and Bambi's mother, but eventually I will drag a runaway into a dark alley. Or, in this case, a class full of freshmen who have never heard an Icelandic saga told before. All I can do is keep it clear. I tell the school the reasons why this is a special offer that I did not extend to anyone else; I can tell them the reasons why I do not ask them for money. I make it a deal: they provide me a regular practice venue where I can bring new and half-baked stories for testing, risking that I will not always be at my very best, in exchange for doing it for free. I keep it connected: I tell them about other tellers they might want to invite for special events. No really, I am a very talented singer of praises. I also keep it contained: I am present at the festivals as a Bard with the SCA, a group that does not ask for money because they are all very clear on the nature of what they do: it is a hobby, something they do for FUN. I enjoy the freedom to do something I was born to do, without having to get paid for it. And all the while, I keep it professional. Being on the road full time, in and of itself, does not a great storyteller make. On the other side of the coin: not being on the road full time, at least the way I see it, has nothing to do with what you are either. And, first and foremost, the next generation should not be pressured into trying to make a full-time living from something with threats and suggestions that they have not earned their laurels unless they do. History has made the mistake of the "all or nothing" mentality a few times before, and we tell so many stories about it, we kinda have to get the point. No one should be passing for a professional storyteller while also working in a coffee shop. Art only really happens the way it is supposed to if the artist is free, one way or another, to do his or her very best. And if that means being, oh, I don't know, a historian, a musician, a teacher, a travel guide, a writer and a goose herd at the same time, all I have to say is: That must be one hell of an interesting tale.